This is a collection of weird stories that crosses genre lines. 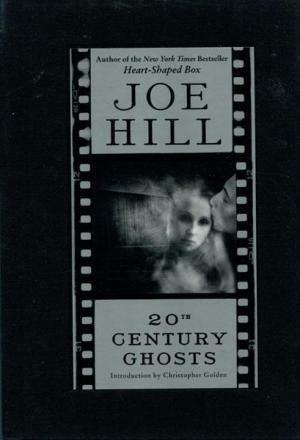 20th Century Ghosts is Joe Hill’s debut. He is also the son of Stephen King, so you know it is going to be good. I didn’t know what to think when I first started reading this collection of short stories, but it passed all of my expectations. The author gets characters like no other author I have read. At times you will want to laugh, and at other times you will want to cry reading these stories. Joe Hill’s writing is just readable. It is smooth and crisp. The author has a way of making you believe in ghosts and the supernatural. This book is filled with stories that are meant to scare and those that make you think. Overall, this collection is great, even though there are a few stories that could have been better. My favorite stories are Pop Art, 20th Century Ghost, Abraham’s Boys, and Voluntary Committal. I highly recommend this book to fans of horror and short story collections!